Michael Doran is a Senior Fellow at the Hudson Institute in Washington, DC. He specializes in Middle East security issues. In the administration of President George W. Bush, Doran served in the White House as a senior director in the National Security Council, where he was responsible for helping to devise and coordinate United States strategies on a variety of Middle East issues, including Arab-Israeli relations and U.S. efforts to contain Iran and Syria. He also served in the Bush administration as a senior advisor in the State Department and a deputy assistant secretary of defense in the Pentagon. Born in Kokomo, Indiana, Doran went to elementary school in Carmel, outside of Indianapolis, before his family moved to Fullerton, California, where he graduated from Sunny Hills High School. He received a B.A. from Stanford and an M.A. and Ph.D. in Near Eastern Studies from Princeton. Before coming to Hudson, Doran was a Senior Fellow at the Brookings Institution. He has also held teaching positions at NYU, Princeton, and the University of Central Florida. 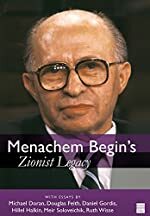 He is the author of Pan-Arabism before Nasser, which analyzes the first Arab-Israeli war as an inter-Arab conflict, and is now completing a book for Simon and Schuster about President Eisenhower and the Middle East. He appears frequently on television, and has published extensively in Foreign Affairs, The American Interest, Commentary, Mosaic Magazine, The Wall Street Journal, The Washington Post, and The New York Times.